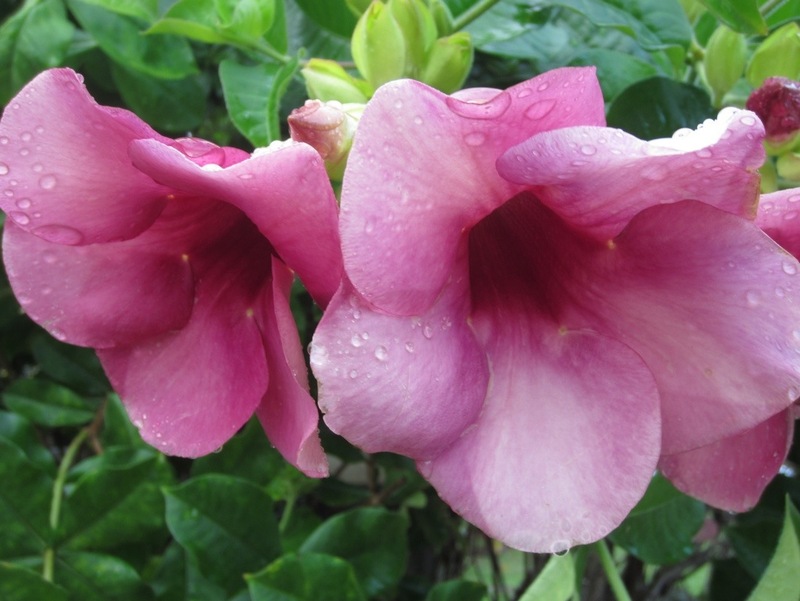 One of many sensational tropical flowers I saw on the island of Roatan, Honduras. It is the rainy season so there are downpours daily. I love the leftover drops of rain on these beautiful flowers opening up to the sun.